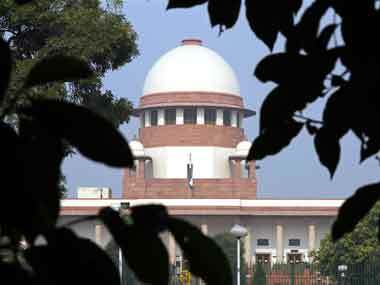 New Delhi: The Supreme Court on Wednesday expressed its anguish over the plight of undertrials and violation of their fundamental rights after they are thrown into prisons that are already “bursting at their seams”. “The laxity with which we throw citizens into prison reflects our lack of appreciation for the tribulations of incarceration; the callousness with which we leave them there reflects our lack of deference for humanity,” said the apex court bench of Justice D.K. Jain and Justice JS Khehar. “It also reflects our imprudence when our prisons are bursting at their seams,” the judges said. The damning observation on the prevailing state of affairs in the justice delivery system in the country came in the course of the court’s inquiry into the trials in cases under the Narcotics Drugs and Psychotropic Substances Act, 1985, pending in all the states. The court had embarked on its inquiry after it granted bail to Thana Singh who had been languishing in prison for more than 12 years, awaiting the commencement of his trial for an offence under the narcotics law.